The mighty Mississippi is shackled and constrained by a series of channels, locks, and levees. The height of those levee walls is regulated by the Army Corps of Engineers to ensure that riverside districts equally bear the risk of flooding. 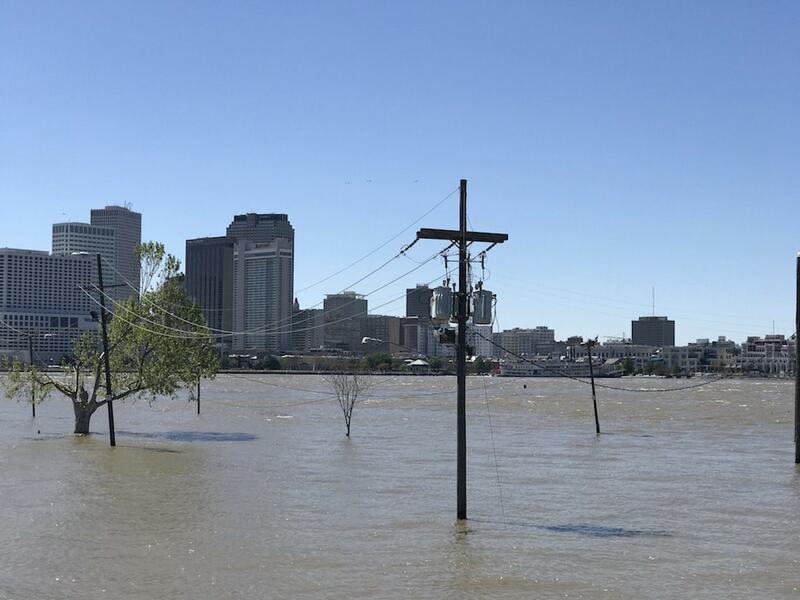 But some districts have piled more sand atop their levees to protect against imminent flood risk during emergency conditions—and then left those sandbags there after the danger passed, leaving a system of levees with irregular heights. Now a team of investigative reporters at ProPublica has shown, using a government-developed flood model, that those higher levee walls protect the people and developments behind them, but shift the risk of flooding onto neighboring communities who have followed the rules. In a companion story, they document how districts with higher levees are now lobbying the government to ease regulation on levee building, which could keep those unequal levee walls in place. In this segment, Lisa Song of ProPublica talks about the reporting project, and geoscientist Sam Munoz joins to talk about his work in the journal Nature—which suggests human engineering of the Mississippi River has actually increased the severity of floods in the last 100 years. Lisa Song is a reporter at ProPublica in New York City. JOHN DANKOSKY: This is Science Friday. I’m John Dankosky. Ira Flatow is away. A bit later this hour, which animals get gassy the way humans do, and which fail to flatulate? Yes, we’ll cut through the stinky science of animal farts, really, coming up later. 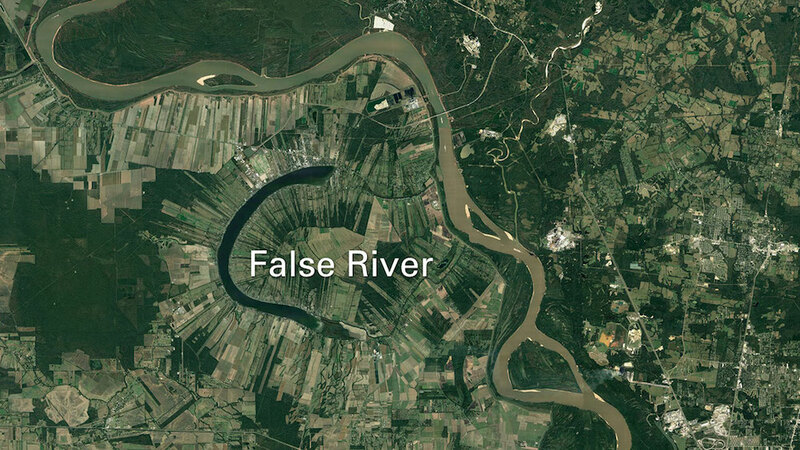 But first, the Mississippi River was once free to meander, flowing where it pleased, doubling back, slicing shortcuts, and forming oxbow lakes. If you look at a map of its historic channels laid on top of one another, it looks like a tangled bunch of strings. But then we came along, and we shackled and constrained the river in a series of dams and locks and levees and channels, forming a river that’s much straighter and much faster than before. That kind of engineering requires agreement among regions that, for everyone’s benefit, walls be built to certain heights to spread the risk of flooding around equally, and that is regulated by the Army Corps of Engineers. But some districts haven’t abided by the rules. They’ve fortified the levees. They’ve piled them up higher with sandbags which could push floodwaters over to their neighbors elsewhere on the river. They’re lobbying the government to keep it that way, too. It’s the topic of an investigation by the nonprofit news site ProPublica, and one of their reporters is here with me now. Lisa Song is a reporter at ProPublica. She joins us in our New York studios. Welcome, Lisa, to Science Friday. LISA SONG: Thanks for having me. JOHN DANKOSKY: If you live along a levee and you want to weigh in, you can call us 844-724-8255. That’s 844-SCI-TALK, or you can always tweet us @SciFri. Let’s start a bit, Lisa, with the science part of your investigation. Communities are breaking the rules, and that’s putting others at risk. Explain what’s happening here. 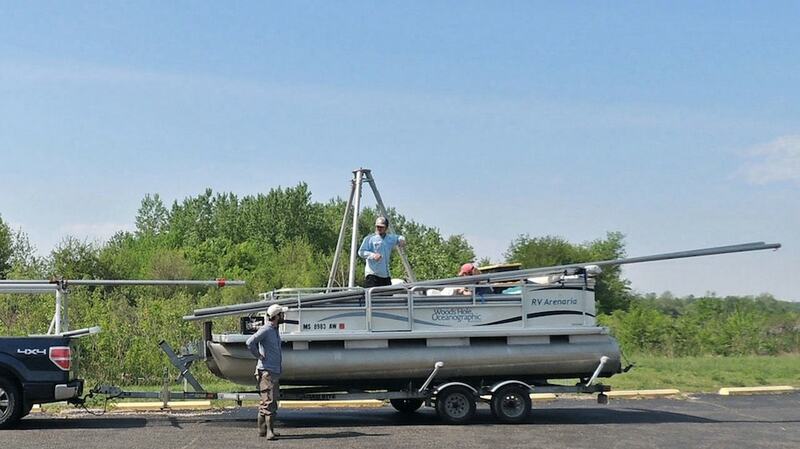 LISA SONG: So what happened was, a year ago, the Army Corps of Engineers did a survey of hundreds of miles of levee in the upper Mississippi River. And what they discovered was about 40% of those levees, about 80 miles, had been overbuilt by two to four feet. And that meant that these local levee districts had raised their levees by two to four feet without getting the proper permits from the Army Corps, and so they were basically breaking federal rules that are in place to ensure that different communities are treated equally and that one community isn’t adding extra flooding to another community. JOHN DANKOSKY: Yeah, and talk a bit more about that, adding extra flooding to another community. I build my levees higher. It means you might get flooded. LISA SONG: Right. So when water is flooding along a river, it’s going to over top or flood the weakest link in the chain, right? And so if your community is behind a lower levee, then the water is going to come, and you are going to be at more risk. And so that means that if everyone just starts building their levee as high as they want, then those towns with the least amount of resources or that don’t have the ability to raise their levees, they’re the ones that are going to get flooded worse. And it’s not just that they’re getting flooded, they’re getting extra floodwaters they wouldn’t have gotten if their neighbors had followed the rules. JOHN DANKOSKY: I can imagine a lot of public officials saying, look, I’ve got extra funds in my district, and I want to protect my town. So what’s the problem with building my levee taller? What’s the issue here? LISA SONG: Well, you would set off a chain reaction, and that’s what people want to avoid. It’s what’s called levee wars or a levee arms race where everyone is racing to have a slight advantage over their neighbors, and that’s obviously not fair, particularly for communities that don’t have the resources to keep raising their levees. Another important thing to remember is, oftentimes when you raise your levees, you have to make the base of the levee wider, and sometimes there’s just no space for that. So there are other constraints, and that’s why we have federal and state regulations. JOHN DANKOSKY: Yeah, the Army Corps of Engineers is involved with this. They’ve been serving this levee system. What do they say about all this? LISA SONG: Well, they had been hearing anecdotes for years before they did the survey of people saying, we think our neighbors have raised their levees illegally. We want you to do something about it. And that survey was the first widespread case where they actually had real answers, and they were able to show that all of these levees had been built higher than they were authorized to go. JOHN DANKOSKY: I’m going to bring on another guest now, a river detective who hunted for evidence of old Mississippi floods. He came up with the conclusion that all our engineering is partly to blame for making flooding worse. Sam Munoz is a geoscientist and assistant professor at Northeastern University in Boston. He’s the author of that study in the journal Nature, and he joins us from WBUR you are in Boston. Sam, welcome to Science Friday. SAM MUNOZ: Hey, thanks for having me. JOHN DANKOSKY: So your study examines the human impact and human engineering on the lower Mississippi River. You found that all of this engineering is contributing to more severe flooding events. Tell us more. SAM MUNOZ: That’s right. So what we did was– we were interested in looking at the history of the river. And so what we did was use what we call “natural archives,” in this case, tree rings and sediments from lakes. And what we did was reconstruct when floods occurred and how big those floods were, going back over the last 500 years. And what we see is that flooding that we’ve had over the last century or so, both how big though those floods are and how often they occur, the river is flooding more today, and those floods are bigger than it was in the previous four centuries. JOHN DANKOSKY: Yeah, and how exactly do you know this? So you’re finding evidence in the sediment. What else are you learning as you’re doing this examination? SAM MUNOZ: Right. So we’re finding evidence in sediment and tree rings. So you can imagine that you have an oak tree that lives near the river in the floodplain, but most of the time, it’s not getting soaked. It’s not getting flooded. And so it’s pretty happy most of the time. But then every now and then, the river rises, and it inundates part of the floodplain where that tree is, and that tree is unhappy. It gets stressed. And so the growth ring in that year will show what my colleague, Matt Farrell at the University of Alabama, calls “anatomical anomalies.” So at a cellular level, you can see that this tree is stressed. And so what he was able to do was basically collect these cores of trees in the floodplain and reconstruct years in which we had big floods in the Mississippi. And the other piece of this was using sediments, using lake sediments. And so you mentioned in your intro that if you look at the Mississippi today, there are all these scars on the floodplain of evidence of the river moving around. So what we did was actually use those scars. We would go to them. They’re called oxbow lakes. They form because the river moves around. We’d go to those lakes in a boat, and we’d basically vibrate a 30-foot long aluminum irrigation pipe in the bottom of that lake. And that gives us this record of when floods occurred, because when the river overtops its banks, it’ll deposit sediment in that lake and leave this layer marking the passage of that flood. So that’s how we’re able to look at the history of this. JOHN DANKOSKY: So how exactly do you know that it’s humans, though, in the way that we are engineering around the Mississippi River? How do we know that’s what’s causing the problem? SAM MUNOZ: Right. So what we were really interested in was first looking at, can we use these archives to reconstruct floods? And I think we can. And then we were really interested in understanding, what are the natural controls on this river? So we can now, with this record, we’re able to go back to a time in which human impact on the river and the basin are pretty minimal. And so then we can look at, what’s the natural variability of the river and flooding on the river? And what controls that? And what we’ve found is there are these what you might call climate cycles controlled by the Pacific and the Atlantic Ocean. And those are really controlling how often the river floods and how big those floods are. But then what we see is, I mentioned there’s this increase in the last century or so of how big those floods are and how often the river’s flooding. And we just can’t account for that based on our understanding of the climatic controls on the river. JOHN DANKOSKY: Well, so it seems as though, from your reporting, what the Army Corps has looked at, what Sam’s looked at on the lower Mississippi, that this human intervention, that the building of levees and more construction around the river, it’s caused more flooding. The second part of your investigation looked into some of the politics. And there are districts that have been lobbying the federal government to loosen restrictions on levee building. So with all this data, all this information, they still want to build higher levees. LISA SONG: Yeah, and it’s actually some of the same districts that have been shown to have over-built their levees without the correct permits. Instead of complying with the federal rules, their solution so far seems to be to hire lobbyists go to Washington DC and try to convince Congress to pass a law that would reduce the Army Corps’ ability to regulate levee heights. So they’re trying to get out of it by just removing the existing rules that are in place, and this is obviously something that is being pushed by the local officials who run these levee districts. JOHN DANKOSKY: So it’s a local issue. Is it also a national partisan issue too? LISA SONG: It doesn’t seem to be as partisan, because the people who run levee districts are all local officials, and they’re the ones then going up the chain and lobbying their state and federal officials. So we haven’t found as such a clear, partisan issue. I think if you’re a state representative or federal representative, you are trying to answer to your constituents, and so it becomes a very localized issue. JOHN DANKOSKY: OK, so Sam, there’s another part that humans may play here. How does climate change come into all of this? Is this boosting some of the problem of the Mississippi? SAM MUNOZ: We don’t really know. That’s clearly a really important question, and it’s astounding that we don’t have a great answer to how climate change is affecting flood risk on the Mississippi. The best study that I’m aware of– and I may wake up tomorrow to a really angry email saying, why didn’t you talk about my study– but the best study that I know of came out a few years ago. And they basically took a bunch of climate model output and imposed it on a model of the Mississippi. And under a bunch of different scenarios, they basically concluded that average flow on the Mississippi will increase under greenhouse forcing under anthropogenic climate change. But that’s just looking at average flows. And as far as I know, we don’t have a good handle on how extreme flows, how floods, will actually change with climate change. JOHN DANKOSKY: We just have a little bit of time left. But Sam, are there any new, innovative solutions being proposed right now? Anybody thinking about solving this problem differently? SAM MUNOZ: Yeah. And so there are plenty of ideas out there. One that has been used successfully in the Netherlands with the Rhine River, actually they did build their levees higher. They take into account the effects of climate change, and they actually moved the levees further back from the river to basically let the floodplain be a floodplain and let the river spill out onto its floodplain, which can help attenuate flooding and help us with some other issues associated with channelization. JOHN DANKOSKY: And Lisa, is there any sense that American officials are taking a look at any of these other innovative strategies in Europe or elsewhere? LISA SONG: There is a little bit. The Army Corps has done several levee setback projects around the country, but it’s just very small and just starting out. JOHN DANKOSKY: Lisa Song is a reporter at ProPublica here in New York City. You can check out her reporting on the Mississippi. We’ve got links at sciencefriday.com/river. Lisa, thanks so much. JOHN DANKOSKY: Thanks also to Sam Munoz. He’s a geoscientist and assistant professor at Northeastern University in Boston. Thank you, Sam. A government study found a possible link to a rare type of cancer in rats. A peer review panel met this week and endorsed the findings.